Joomla restaurant template? We have 48 different templates featured! Joomla! CMS is Open Source software licensed under the GNU General Public License. Joomla restaurant templates are various skin designs developed for using with the Joomla CMS platform. This is a section for restaurant themes for Joomla where we have gathered and reviewed them all to present them to our readers. We feature Joomla templates made with various technologies such as Flash or jQuery which seem to be very popular among you guys. With the wide range of templates we feature, it will be easy for you to find the right one for your website, no matter what kind of business you might be running. Picking up the right theme for your website isn’t an easy task since there are so many of them available all over the web. 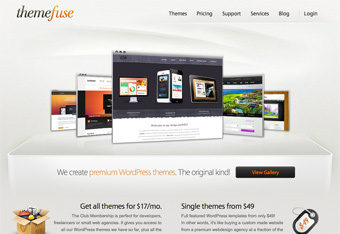 We are here to review each theme and describe it to you just the way it is. By highlighting the important features we will help you make your decision which is the best one for your needs. You will know exactly what each template offers, and which special features it contains so you can freely take your time and pick the one you find most fitting for your own website. Each template is described objectively and each one of them can be rated by users, so you will not only be able to see reviews, but also a displayed average 5 star value by users just like yourself. If you want a realistic opinion, browse through the Joomla restaurant templates, read the reviews and check the rating results. Putting all these together and deciding which the best template for you is will be very easy because we prepare and serve all that’s important. All you need to do is pick the right one!